Local officials are planning to construct a shelter in Paso Robles designed to house and keep warm homeless people during the cold months of the year. 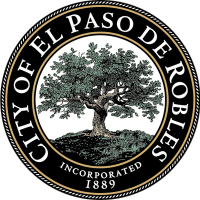 The cities of Paso Robles and Atascadero, as well as local homeless services agencies, are partnering on the approximately $1.7 million project. The site of the planned 5,000 square foot, 36-bed facility is next to the Paso Robles Wastewater Treatment Plant on Sulphur Springs Road near the intersection of highways 101 and 46. Plans call for much of the project to be funded by way of homelessness-related grant money passed down from the state of California to San Luis Obispo County. The agencies involved in the project are applying for those funds, as well as some federal grant money that is also distributed by the county. The project would help get homeless people out of the Salinas Riverbed, where emergency personnel have recently needed to perform rescues during storms. As currently planned, the shelter would initially be open overnight in the months of November through March. Where do they go during the day? By providing housing, food and services to these folks you are welcoming them to come and live here. They bring their drugs, vagrancy, pan handling, theft skills to our town. I came here from Eureka. Lots of welcoming and services. No one feels save going into retail shops and restaurants. Over 750 homeless in a town the size of Paso Robles. One of the reasons we left after 50 years.